Improving breastfeeding practices has been identified as the most effective child survival intervention worldwide, with the potential to save over a million infant lives each year, mostly in low-income developing countries (Jones et al. 2003). In these regions of the world, questions about breastfeeding and infant health tend to focus on survival, prevention of infectious diseases, adequate nutrition, and growth. In other regions of the world, the questions about breastfeeding tend to focus more on its relation to reducing the plagues of “over-development”: obesity, cardiovascular disease, asthma, and related disorders. 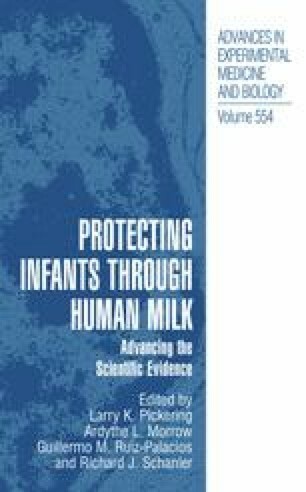 The title of this book, “Protecting Infants through Human Milk: Advancing the Scientific Evidence,” reflects our perception that scientific investigation of human milk relevant to infant health has significantly advanced in recent years in relation to infectious, chronic, developmental, and nutritional outcome measures. Progress in the field has been due in part to the proliferation of technology but also to the growing understanding of the importance of breastfeeding to child survival and healthy development, as well as the increasingly strong multidisciplinary collaborations found among researchers in this field that provide the depth of expertise and cross-talk necessary for innovative research. This book represents a balanced integration of basic science with the study of health outcomes relevant to diverse populations.